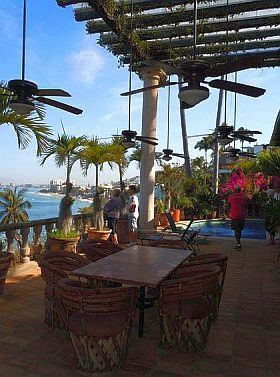 The IFC has been touring some of the most unique and beautiful homes in Vallarta for almost 30 years. In air conditioned busses, each week we visit four homes throughout PV - from downtown to Mismaloya. "Great way to spend a day in PV"
"A peek into breathtaking homes"
"See fabulous traditional and modern homes"
"See the sights and help the kids"
These are just a few ways people describe the International Friendship Club (IFC) Home Tours. First time and repeat guests alike have praise for the approximatly 3 hour tour. Many guests visit us year after year. Many enjoy several visits on their annual stays of a few weeks, or a few months, in our beautiful destination. We have a variety of homes, and never show the same homes two weeks in a row, so they are almost always assured of a different experience each time they visit. Deborah, who visits each year from Arkansas, and Richard, who visits from California, added up a total of 11 tour visits in our 2013-14 tour season. They've even become friends on their several visits on the tours! Deborah commented "I love the tours and especially appreciate the great cause that they support." We thank you both for YOUR generous support! 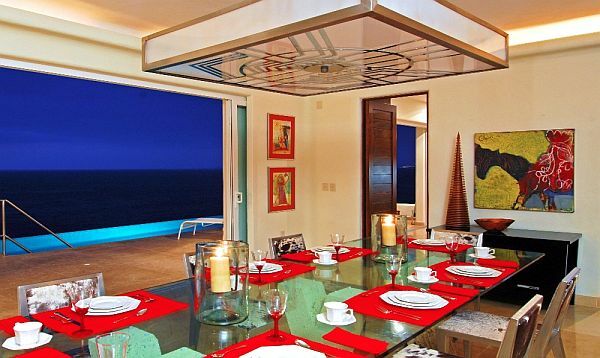 The IFC has been touring some of the most unique and beautiful homes in Puerto Vallarta for almost 30 years. We visit four homes each week in air conditioned busses throughout PV from downtown to the hotel zone in the north and south of town in the Conchas Chinas hills and past beautiful beaches along the south shore to homes near Mismaloya. We show a variety of home styles from traditional "Vallarta style" Mexican homes to multi-million dollar ocean front condos and villas. The homes are all generously donated by owners in their support of the IFC, allowing us to give these special private tours! Experienced and knowledgeable volunteers help guide you through the homes and also have great recommendations for things to do and places to see and visit in and around Puerto Vallarta. And all this fun is for a great cause! The IFC community programs vary from our well known Cleft Palate program to educational programs like our English Outreach Program that offers basic English skills to those who need it for their work advancement and medical programs helping those needing assistance without the financial means to obtain them. Our Rice and Beans Program helps with daycare and meals in impoverished areas of the city. We also support various other established Banderas Bay area charities with monthly financial support including the BECAS scholarship program, Corazón de Ninos, Casa Hogar, RISE, SETAC, Biblioteca Los Mangos, Maximo Cornejo, a senior living community for those who have no one to help support them, and many others. For more information on how you can help with donations or volunteer service, look on ifcvallarta.com under "what we do." Tours for our 2015 season are well under way! We tour Tuesdays and Wednesdays each week through March. We depart at 10:30 am sharp! We gather at the Sea Monkey restaurant at the Malecón and Aquiles Serdan on the south side each tour day starting at 9 am. A breakfast special is available for purchase for early starters from 9 to 9:45. Tickets are available the morning of each tour starting at 9 am, but SEATING IS LIMITED so please purchase tickets before tour day online with a credit card at ifctoursforvallarta.com, or with pesos at the IFC club office above HSBC bank at the foot of the Cuale bridge in downtown. Tickets are $500 pesos each (pesos only please, at the clubhouse or day of tour) and all proceeds after our transportation costs go toward our programs for Vallarta. Make plans now to join us on our wonderful tours and help us help those in need in this beautiful beach paradise!